William A. Kolley, born about 1859, was a professional baseball player in 1885. Kolley lived in Little Rock, AR circa 1880-1885. William Kolley was the son of German immigrant John Kolley and probably his wife Anna1. His birthplace is unknown, though Pennsylvania1 or Missouri23 seem most likely. He grew up in St. Louis and took on the trade of cigar maker as a young man. By 1880, Kolley was living and working in Little Rock, AR4. On June 28th, 1884, he married Susan Holbrook in Little Rock5. That same year, he joined the Little Rock Browns, one of the area's most popular baseball teams. 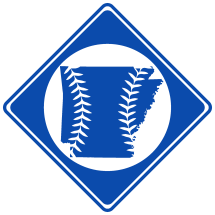 Kolley had been playing baseball in Little Rock since at least 18816 and had become a well-known catcher. To promote the Browns, Kolley made a batch of "Little Rock Brown's" cigars7. In July, 1884, Kolley and the Browns traveled to Memphis, TN to play a local team known as the Eckfords8. Kolley seemingly impressed the Memphis baseball figures, as did his teammate Russell Steinhoff9. When the Memphis Reds joined the Southern League in the spring of 1885, both Kolley and Steinhoff were sought out and signed to play with the team10. Kolley joined arrived in Memphis in April and remained with the team until mid-May when he was released11. Kolley moved to Paducah, KY by 189012 and became a well known local baseball player nicknamed "Home Run Bill. "13 His younger brother Andrew also played for Paducah, as well as with teams in Terre Haute, Vincennes, and Little Rock13. In 1897, Andrew played for Paducah's first minor league team in the Central League. At 38, William was now too old to play and instead helped organize Paducah's team by scouting for players in St. Louis14. He also umpired a few season games15. Kolley continued to work as a cigar maker the rest of his life. Around 1900, it appears he and his wife separated, though the nature of the separation is unclear16. Susan and the couple's several children17 moved to Memphis, and William moved to Beaumont, TX to engage in business there. He lived in Beaumont/Port Arthur area seemingly the rest of his life, dying in Beaumont on September 10th, 192218. He was buried in Magnolia Cemetery in Beaumont. 1. 1860 U.S. Census, listed as "William Coli"
2. 1880 U.S. Census, listed as "William Coli"
17. This includes William and Susan's son William Anthony Kolley, who also became a cigar maker and should not be confused with his father.